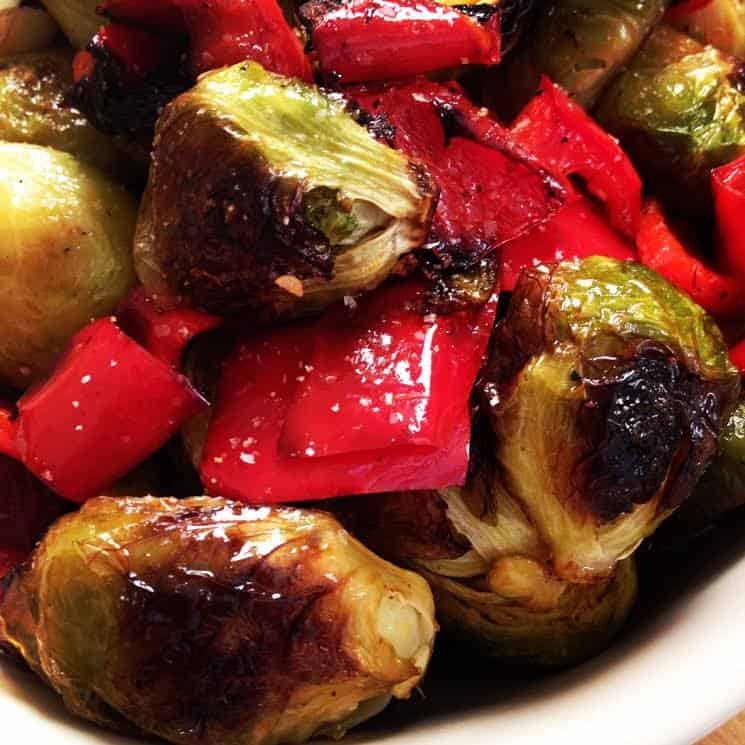 Try this Easy Roasted Brussels Sprouts with Red Peppers and Shallots recipe from KC the G-Free Foodie. It’s as delicious as it is colorful, and incredibly simple to make. Toss Brussels Sprouts, peppers and shallots in 3-4 tablespoons of oil, added more oil if needed to lightly coat the vegetables. Spread the mixture out evenly on a rimmed baking sheet, and sprinkle liberally with salt and pepper. Bake 15 minutes, until browned. Stir the veggies carefully, and roast until they begin to brown (another 15-20 minutes). Remove pan from oven, and drizzle with vinegar. This entry was posted in Dairy Free, Paleo Friendly, Recipes, Side Dishes and tagged g-free diet, gluten free cooking, gluten free recipe, paleo, recipe, side dish, veggies. Bookmark the permalink.